Compared to other operating systems, iOS’ Photos app has always left a lot to be desired. 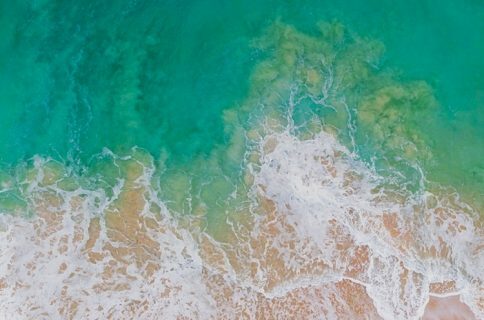 Fortunately, a new jailbreak tweak called PhotoManager by iOS developer Frozen Penguin can fill in the blanks with the features you’ve always wanted in your stock photo app. Compared to some tweaks, which just add one extra bell or whistle here and there, PhotoManager introduces a plethora of genuinely useful features that you’ll actually use. For that reason, I found it very exciting to delve into what the tweak has to offer, and I think you’ll feel the same way once you see it for yourself. 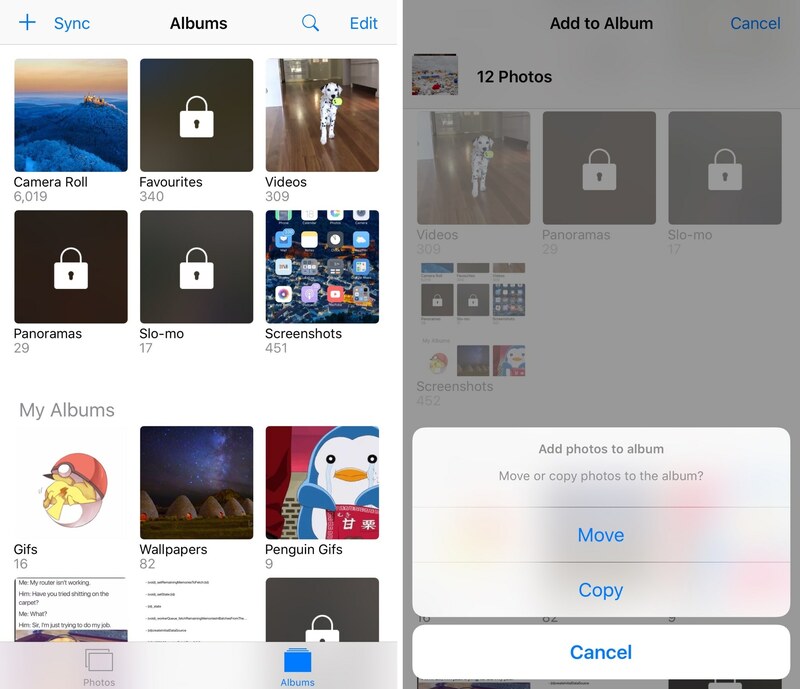 Out of all the features outlined above, some of my favorites are locking certain albums, quickly moving images from the Camera Roll to other albums without just copying the image, and hiding individual albums on demand (especially from apps). Of course, everyone has a different idea of what features are useful so your opinion might vary from mine. 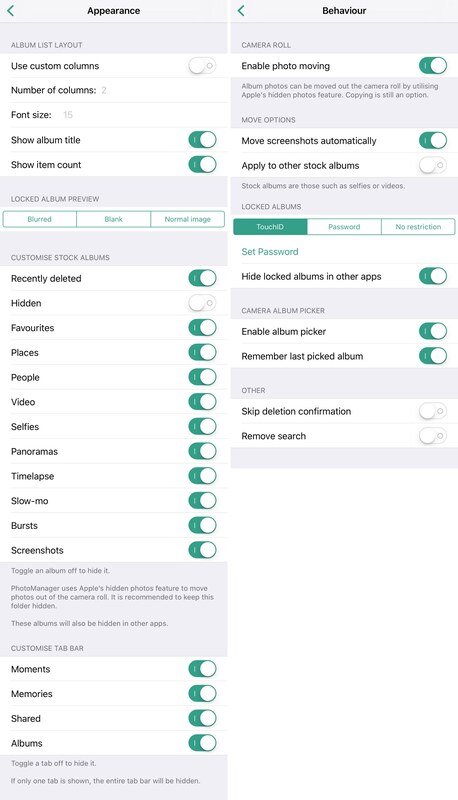 As shown in the screenshot examples above, you can see that there are three albums per row instead of two, as a stock device would have. Moreover, locked albums have a lock icon displayed on them to indicate that you must authenticate yourself somehow to view the images within. 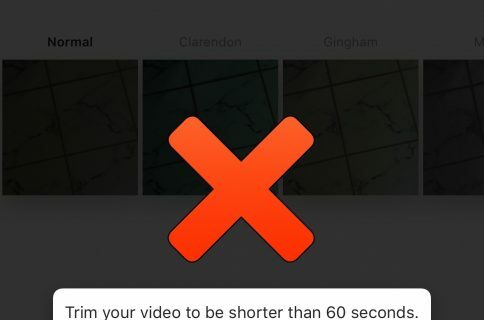 Automatically apply selfies to the selfies album, time lapse to the time lapse album, slo-mo to the slo-mo album, etc. Given the slowness of the jailbreak community lately, I would have to say this is one of the most robust tweak releases within the last few months. If you’re looking for an effective way to add useful functionality to your iPhone, particularly in the Photos app, then I can’t recommend PhotoManager to you enough. 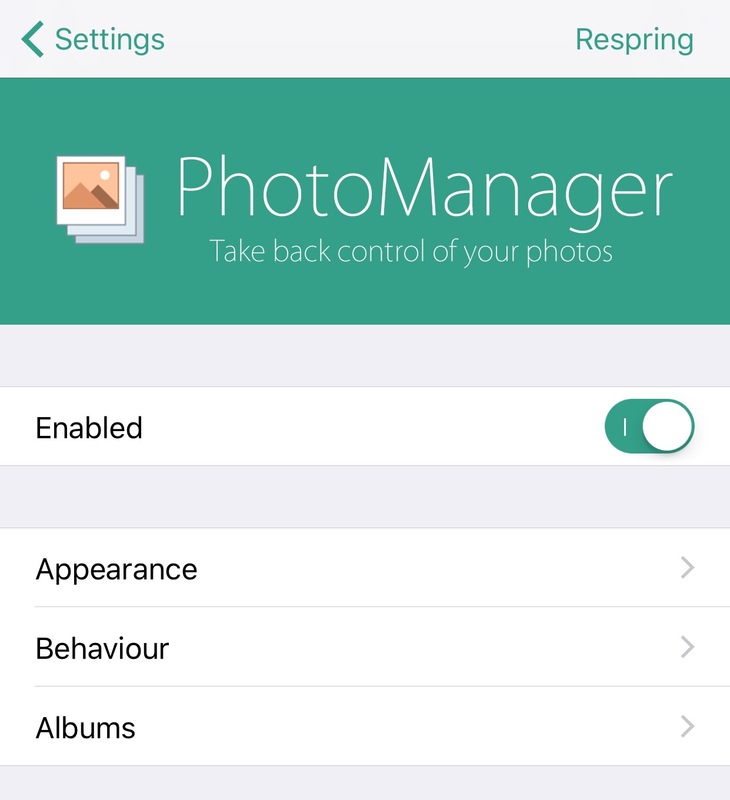 If you’re interested in giving PhotoManager a try, you can download it for $1.99 from Cydia’s BigBoss repository. 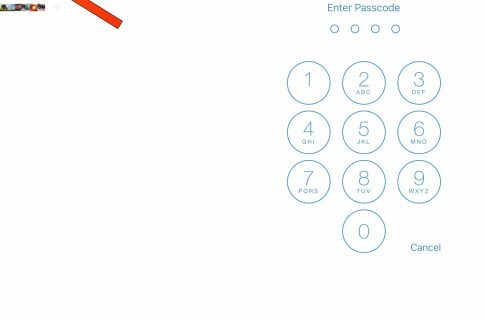 The tweak is compatible with all jailbroken iOS 10 devices. Are you interested in any of the features we covered in this post? Share in the comments section below!